Magnificent Harewood House is situated at Harewood near Leeds and was designed by York born architect John Carr and completed by Robert Adam. The house was constructed between 1759 and 1771 for Edwin Lascelles, 1st Baron Harewood and is a member of Treasure Houses of England, a marketing consortium for ten of the foremost historic homes in the country. 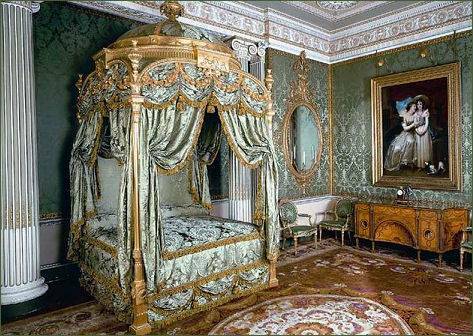 The magnificent State rooms are furnished by Thomas Chippendale, and contain a collection of paintings by masters of the Italian Renaissance, family portraits by Reynolds, Hoppner, Lawrence, works by Reynolds, Titian, El Greco and Picasso and modern art collected by the 7th Earl and Countess. The house also contains a fine collection of Sèvres china. An Italianate Terrace, designed by Sir Charles Barry, stretches along the South Front of the House and provides superb views over the highly attractive landscape and lake. Harewood boasts more than 100 acres of gardens, including a Himalayan garden and its stupa, a waterfall, an educational bird garden, an adventure playground and the fifteenth century All Saints Church with its alabaster tombs. "Capability" Brown designed the landscape with remarkable views from the award winning Terraces. From May 2007 to October 2008 the grounds were home to the Yorkshire Planetarium. The aristocratic Lascelles family claim to have arrived in England with King William the Conqueror, during the Norman Conquest of 1066. The name derives from the French word for armpit "l'aiscelle". The family had settled in Yorkshire by 1315 as the "de Lascelles". In the late seventeenth century Henry Lascelles (1690 - 1753) director of the British East India Company, purchased plantations in the West Indies, the income generated, allowed him to purchase the estate in 1738. His eldest son, Edwin Lascelles (1713-1795) built the house between 1759 and 1771 and was created 1st Baron Harewood in 1790. The first member of the family to bear the title Earl of Harewood was Edward Lascelles (1740-1820) the son of Edward Lascelles, a customs officer in Barbados. On the death of his cousin, the childless Edwin Lascelles, 1st Baron Harewood, Edward inherited the Lascelles family fortune made in the West Indies. He sat as Whig Member of Parliament for Northallerton from 1761 to 1774 and from 1790 to 1796. The latter year he was raised to the peerage as Baron Harewood. He was succeeded by his second son, Henry Lascelles, the 2nd Earl. In 1922, Henry Lascelles, Viscount Lascelles married Mary, Princess Royal, the only daughter of King George V and Queen Mary. The couple moved into Harewood House at the death of Henry's father in 1929. The house is presently the home of David Lascelles, the eighth Earl, the grandson of Princess Mary and a cousin of the queen. 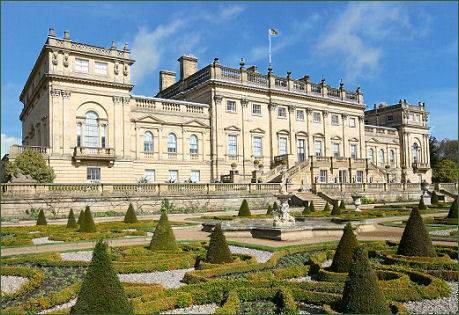 The house and grounds have been transferred into a trust ownership structure managed by Harewood House Trust, an educational charitable trust and is open to the public for most of the year.